Up to 40 CFM. 100% of the time. UNDERHOOD™ rotary screw air compressors are designed to run at 100% duty cycle without stopping. Operators don't have to wait for their air compressor to fill up a large air receiver tank. Decrease vehicle GVW by up to 290 lbs. Carry more or take advantage of improved fuel economy. Free up to 10 FT³ in your cargo area. UNDERHOOD™ air compressors free up to 10 FT³ in the cargo area because the air compressor mounts in the engine compartment. 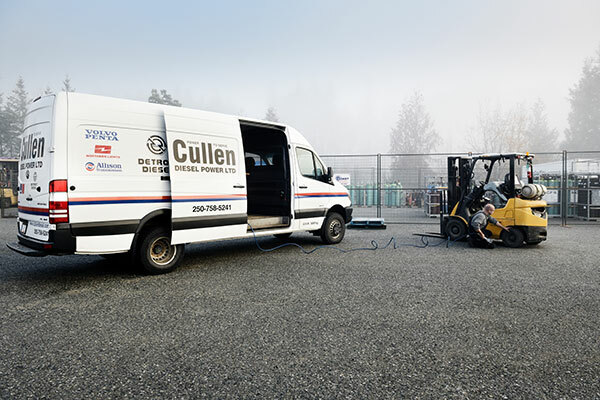 UNDERHOOD™ Van Series air compressors are engineered to eliminate safety hazards that van operators face including toxic fume exposure and gas fires inside the cargo area. 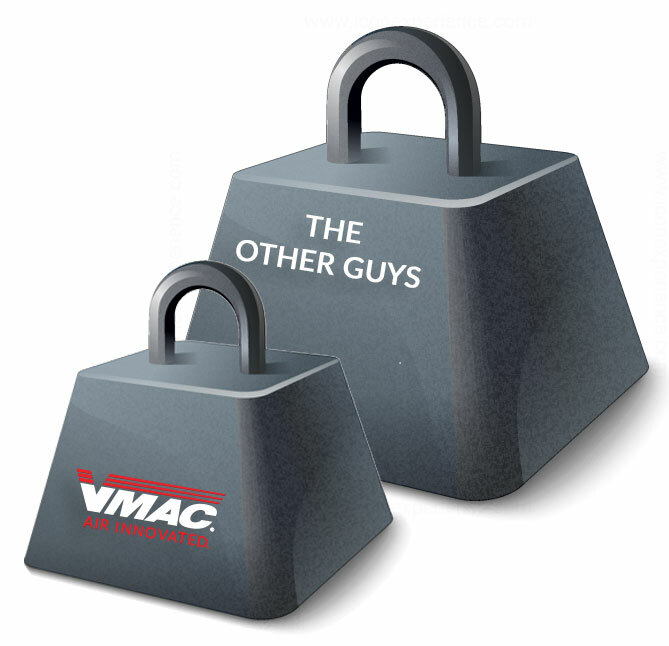 At VMAC Global Technology Inc., we are committed to providing our customers and dealers with exceptional service. As providing this service involves the collection, use and disclosure of some personal information about our customers and dealers, protecting their personal information is one of our highest priorities. When you submit your personal information to us online, this information is only used in conjunction with providing you with enhanced services related to the site, and providing you with the information you request. Your information will never be sold or shared with a third party. You are also free to opt out of communications at any time through a link included in our emails.